pages from various science & innovation institutes. The authors refer to these named entities about science & innovation activities as research objects. Usually, these research objects carry the core information of the web pages and are valuable for automatically extracting intelligence from web pages. Hence, It is one of the most important questions that how to dig these knowledge units from these resources and how to use the knowledge to support deep intelligence analysis. 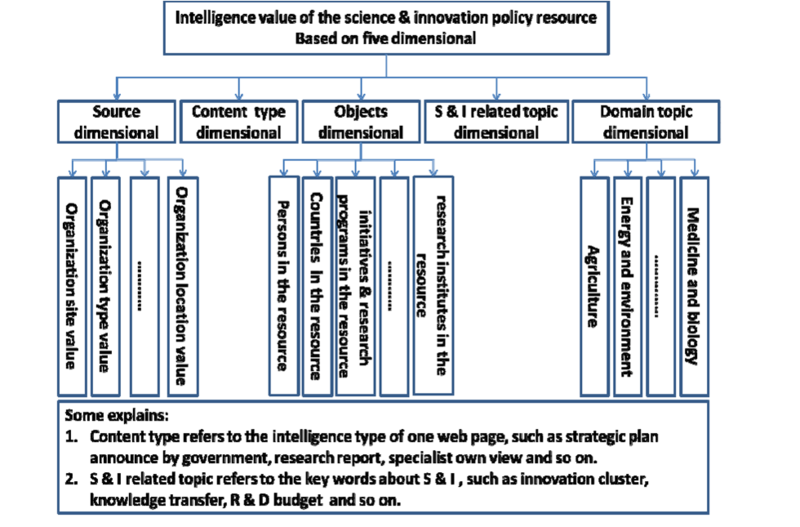 In this paper, the authors bring forth a method using object-based computing for profiling science & innovation policies of some key national scientific administrative offices, research councils, funding agencies, and leading research institutes. detection and burst topic detection. active activities in institutes, and cluster the related policies for the institutes. intelligence experts, the method presents a good performance.